This scoreboard was built with serious Bocce players in mind. Aluminum signboard mounts easily to a 2" pipe. Excellent visibility for players and spectators. Ideal for all weather conditions. No maintenance. 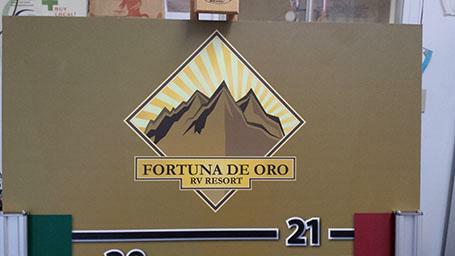 Price for a single-faced board, with logo (Artwork to be supplied by customer) and graphics is $355 for a standard rectangular board, and $430 for a routered board (please click for examples). which includes shipping and handling to the lower 48. Scoreboard only.